The Government’s Child Obesity Strategy has used evidence from Child of the New Century (CNC) to underpin its plans to improve children’s health. Researchers have used CNC alongside similar studies of people born in 1946, 1958, 1970 and the 1990s to understand how children’s health has changed over time. Their findings have shown that younger generations are three times more likely to be an unhealthy weight by age 10. 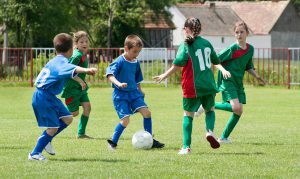 Another CNC study released earlier this year found that taking part in organised sports can improve children’s educational attainment. The Government has committed to supporting school sports, and stressed the importance of getting a least an hour of physical activity every day. But many people feel the Government should be doing much more to act on the evidence. The Obesity Health Alliance, a group of 33 charities, medical royal colleges and campaign groups, said the plan fell “disappointingly short of what is needed”.